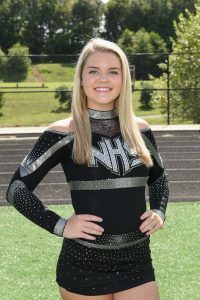 Congrats to Anna Myers (Cheer) and Matt Wukitch (Football) on earning NHS Athletics Athlete of the Month for November! Anna is always a positive person during practices and games. She is a great person to look up to as well. She works so hard every day. With us going into Regionals and hopefully states, she always shows so much leadership with everything she does. She never losing sight on what is important to her which is her team mates and coaches. Varsity football for three seasons. 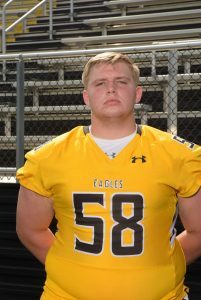 Starting Defensive lineman that has helped our Eagles reach the first playoff birth since 2004. Matt has a team leading 42 tackles, 5 tackles for loss, 2 sacks, and one interception over 9 games. Matt missed two games this season and was still able to put up team leading stats. Matt’s play on the field is exceptional, but his in school attributes go above and beyond the average student with his involvement with Vocal Ensemble, SGA, and Captains Club.